Craig Morgan has worn many hats in his life: EMT, soldier, television host, top-selling country music artist. 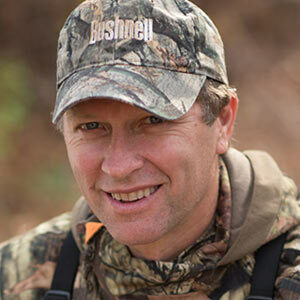 Craig’s first hat was either camouflage or hunter’s orange – depending on the season. Craig Morgan All Access Outdoors on Outdoor Channel has brought Craig’s love of the outdoors to a wide television audience. He’s also introduced the outdoors to people around him in the music industry. Craig is a veteran USO Tour performer. He also participates in an annual hunt with wounded U.S. servicemen. “The BackTrack, just because of the durability. It’s lightweight and easy to operate, which is important for a guy like me. I don’t need a GPS everywhere I go, but it’s nice. In working with outfitters and areas I’m not familiar with, I can get back to camp or mark additional way points.